TECNAN PRODUCES INDIUM-FREE OXIDES FOR CONDUCTIVE COATINGS – TECNAN-NANOMAT "Think big, Act Nano"
Within the framework of the European INFINITY project, Tecnan has been the partner in charge of supplying the other partners with the different indium-free oxides produced by the flame spray pyrolysis technology in order to develop the transparent coatings suitable for plastic and vitreous substrates. In this way, several batches of zinc oxide doped with aluminum (AZO), silicon oxide doped with zinc (SZO) and titanium oxide doped with niobium (NTO) were successfully produced by adjusting the precursor mixtures as well as the operating parameters in order to obtain suitable nanoparticles for the purpose of the project. 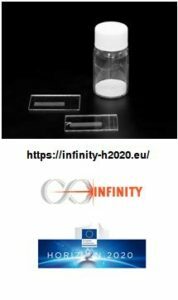 The INFINITY European project, “Indium-free transparent conductive oxide coatings for glass and plastic substrates”, started in December 2014 and proposed the development of novel inks for transparent conductive thin coatings used in a variety of optoelectronic devices including flat panel displays, and photovoltaic cells. At the moment, indium tin oxide (ITO) is the most commonly used material for these applications, however indium is a scarce and expensive element. Thus, the two main objectives of INFINITY were to develop indium-free oxide coatings with similar electrical conductivity and as high optical transmission as ITO coatings and to deposit these coatings and patterns by a direct, cost-effective printing process. The research, which is about to conclude, has achieved very promising results in terms of the replacement of a material as critical as Indium. 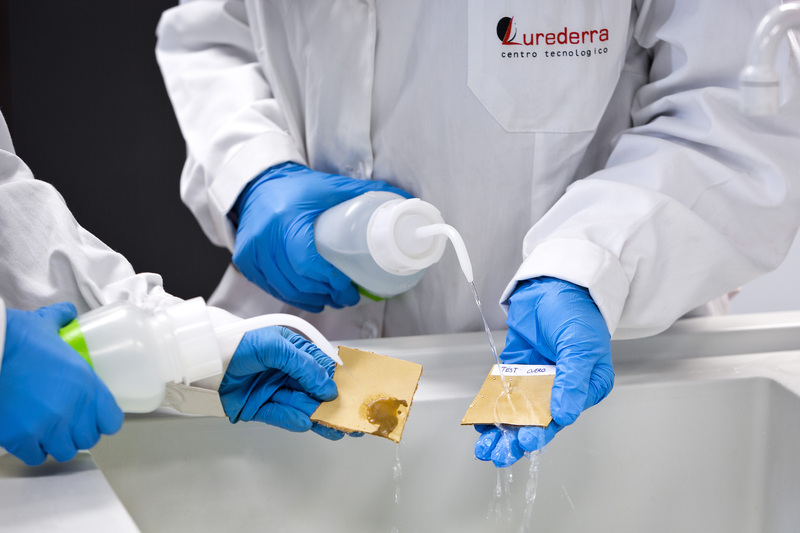 The consortium of the project consists of 7 partners: TWI Limited (TWI), Leibniz – Institut Fuer Neue Materialien Gemeinnuetzige GmbH (INM), University of Hull (UHull), EpiValence LTD (EPI), Lurederra Fundación para el Desarrollo Tecnológico y Social (LUREDERRA), OPVIUS GmbH (OPV) and Tecnología Navarra de Nanoproductos S.L. (TEC). This project has received funding from the European Union’s Horizon 2020 research and innovation programme under grant agreement No 641927.